Bitcoin has quickly gained the attention of the business giants and companies as a modern, profitable and efficient way of transaction that not only allows the customer’s ease of handling their payments but also makes it easier for the providers to manage their profits. 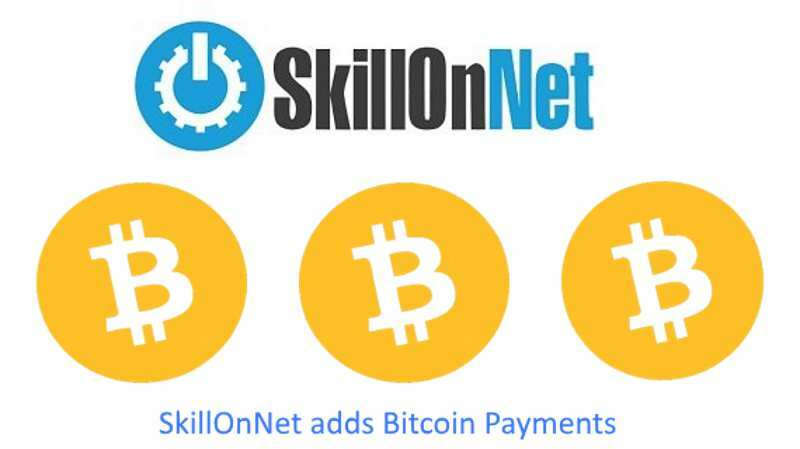 SkillOnNet, one of the renowned software providers has always kept up with the latest market and has done it again when they introduced Bitcoin deposit method for their customers. The software giant is among the best providers who have and is still working with some of the best online casinos, providing their players with new games every now and then. With the addition of Bitcoin payment, it has opened the gateway for many new customers who deal with their transaction in Bitcoin rather than conventional methods. 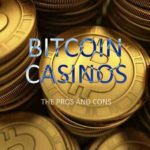 All of the casinos powered by SkillOnNet including DrueckGlueck, SlotsMagic, PlayOJO, and LuckyNiki will now support the Bitcoin deposit and withdrawals. 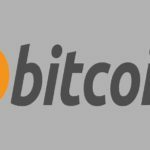 Every payment made on this website through Bitcoin will be according to the latest Bitcoin exchange rate. SkillOnNet was not light on payment methods even before this recent release. The customers could pay through a vast range of options including Visa, Mastercard, Skrill, Neteller, Trustly, Zimpler as well as Paypal. The new option is powered by Cubits and comes with latest security and protection for secure transaction. In the recent years, there have been numerous cryptocurrencies released other than Bitcoin and have proved themselves, in many ways, much better than Bitcoin. Even though the only bitcoin is offered by the software provider at the moment, they intend to further increase the payment range to other cryptocurrencies and allow players to pay through their choice of cryptocurrency rather than just Bitcoin. The first decision to offer Bitcoin payment itself came into existence due to the rise in Bitcoin popularity and the increasing demand of the players. Catching some words from SkillOnNet sales and marketing director, Michael Golembo, the famous software provider saw it as an extension of the market empire and a successful move for the future since they expect cryptocurrencies like Bitcoin or Ethereum to become a more popular method of transaction. Now Offering Bitcoin payments to their players will ensure their customers’ comfort as well as new players who prefer cryptocurrency payments over traditional payments. He further said that this decision has already proven successful since many of their customers are using this payment method over the others as well as many new players have already joined the game who use bitcoin transaction. He added that if this success continues in its path then the software provider may look forward to adding more cryptocurrency options for the players to meet the rising demand. SkillOnNet, as previously said, tends to stay ahead in the game and always looks forward to satisfying its customers. SkillOnNet has always offered its players the best of technology and innovation through its software and has never ceased to amaze the market with new products that come with lots of features and breakthroughs. With their games provided on every platform and efficient management, it is expected from a software provider who works with many famous casinos like PlayOJO or SlotsMagic. Staying ahead of the curve is its specialty. Coming up with something new that has never been seen before is what SkillOnNet is known for. Licensed by UK Gambling Commission and Malta Gaming Authority, SkillOnNet provides secure and fair games to its player. As mentioned on their website, SkillOnNet is made to provide better and efficient solutions to growing gambling industry by using their expertise and technology and to meet their customers’ every demand and need to ensure satisfaction. SkillOnNet provides the state of the art technology behind some of Europe’s hottest online casino brands including PlayOJO, DrueckGlueck, SlotsMagic, and LuckyNiki. Its platform includes more than 800 slots and table games from suppliers such as microgaming, NetEnt, Yggdrasil Gaming, Merkur Gaming and Big Time Gaming.